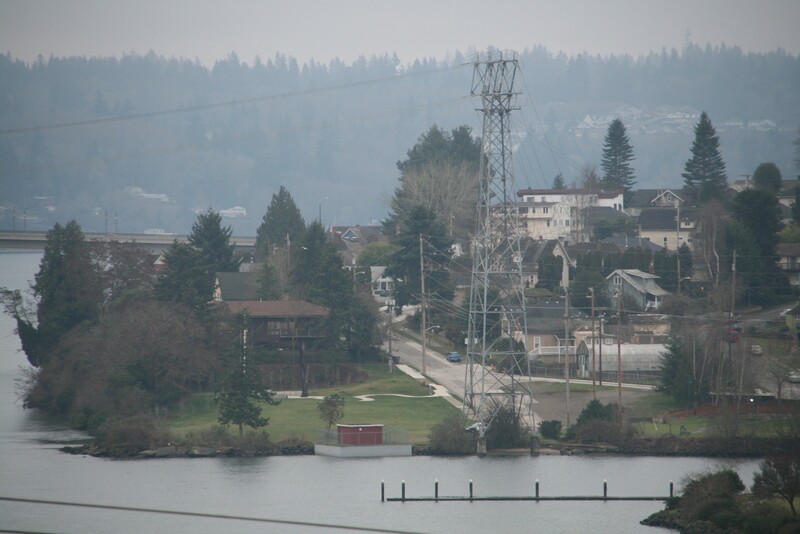 Q: Who is Lebo Boulevard in East Bremerton named after? 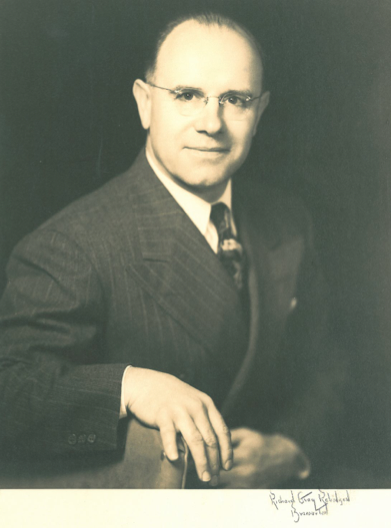 A: Harold T. Lebo (1892-1990), a Tacoma native who owned and operated furniture stores around Puget Sound, including in Bremerton. 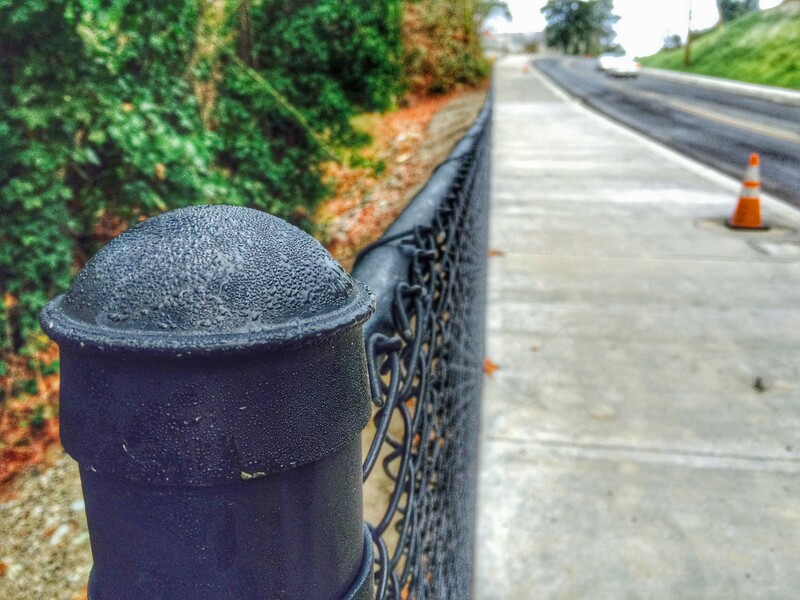 Bloggers note: In November 2015, the city was awarded nearly $5 million to reconstruct Lebo Boulevard between Lower Wheaton Way and the northern city limits past Lions Park. This entry is a historical post about the man the road is named after. Joan Derry, Lebo’s granddaughter, has been seeking information about him and has come across some wonderful Bremerton history. Lebo, a World War II veteran, and his wife, Wilda “Billie” Sarah Mildred Smith, had seven acres off Tracyton Beach Boulevard, Derry says. 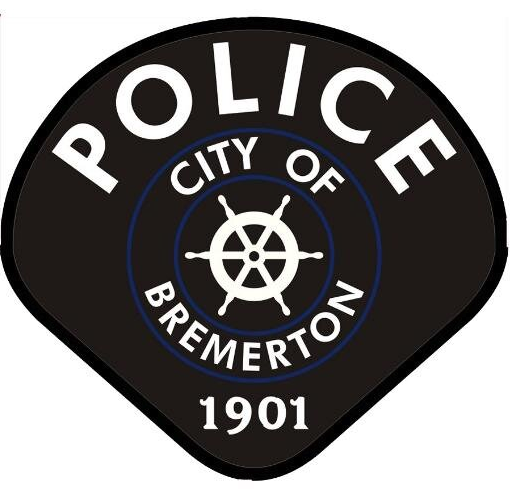 They came to Bremerton in 1936. 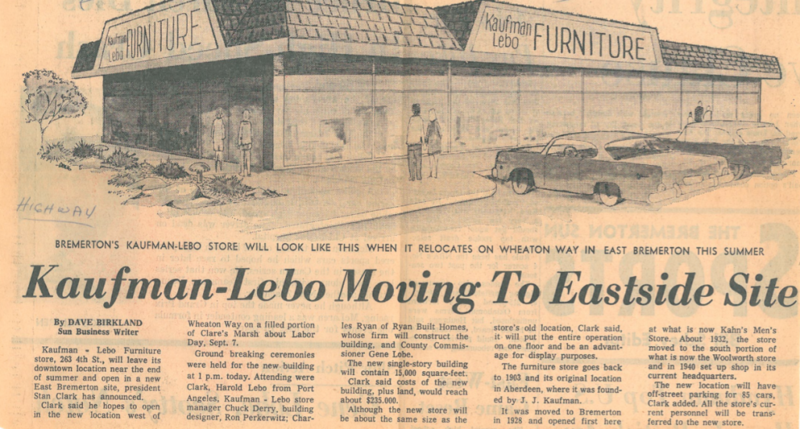 The Bremerton store he owned, called Kaufman Lebo Furniture, moved from the 200 block of Fourth Street out to Wheaton Way. 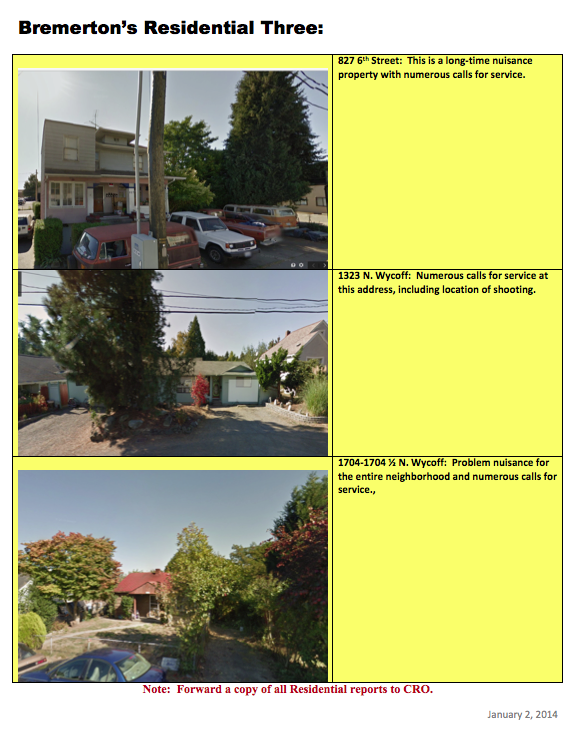 I’ve attached the Bremerton Sun article showing the move, below. 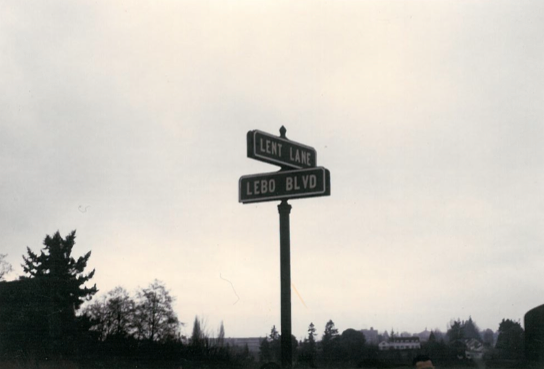 But there’s still a bit of a mystery: why was the boulevard named for Lebo? Derry says he’d made some substantial donations to charity, including to Harrison. And Lions Park was at one time named Lebo Field, too, which appears tied to him as well. Derry is also seeking additional information about her grandfather. If you have some you’d like to share, email her at reflex8@comcast.net. 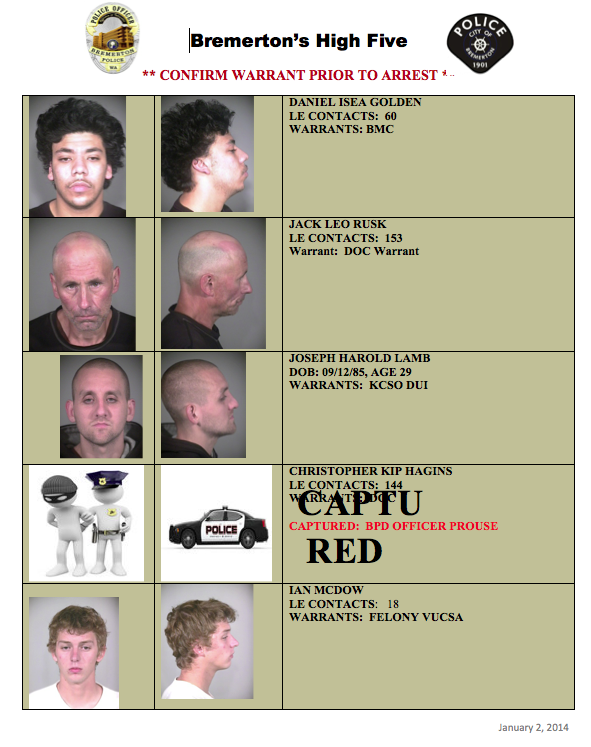 Email me too at jfarley@kitsapsun.com and I will post an update. 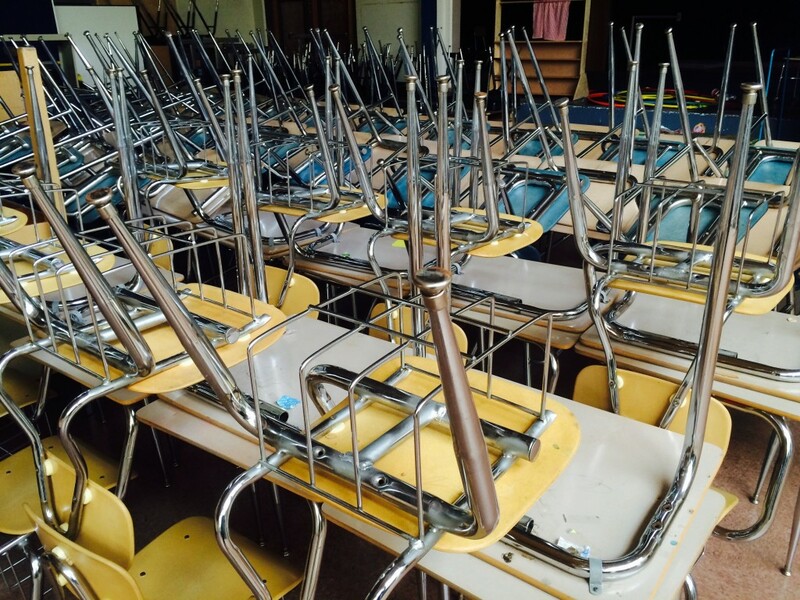 It’s been about seven years since kids last took their seats to learn at the old Bremerton Junior High and East High School campus off Wheaton Way. 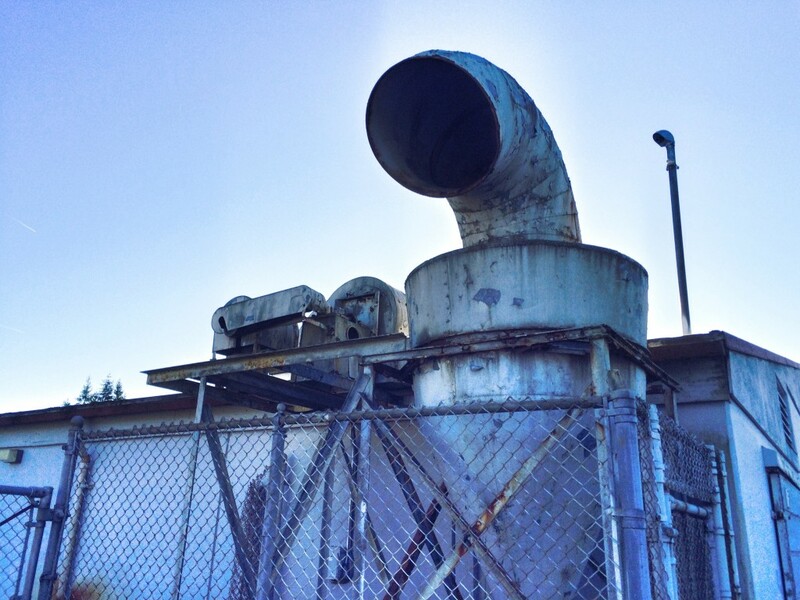 To put it plainly, the school’s in really bad shape, as we documented in a story in the Jan. 1 Kitsap Sun. To me, it appeared to be a kind of Chernobyl, where, minus a nuclear disaster, school could still be in session, minus its years of decay. 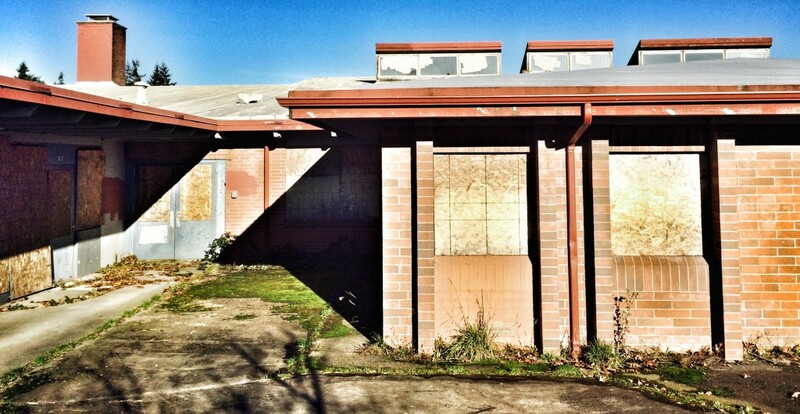 Organizers of the Youth Wellness Campus need about $5 million to tear down 125,000 square feet of the old school, built in the 1950s. It is now routinely vandalized, broken into and even set ablaze from time to time. 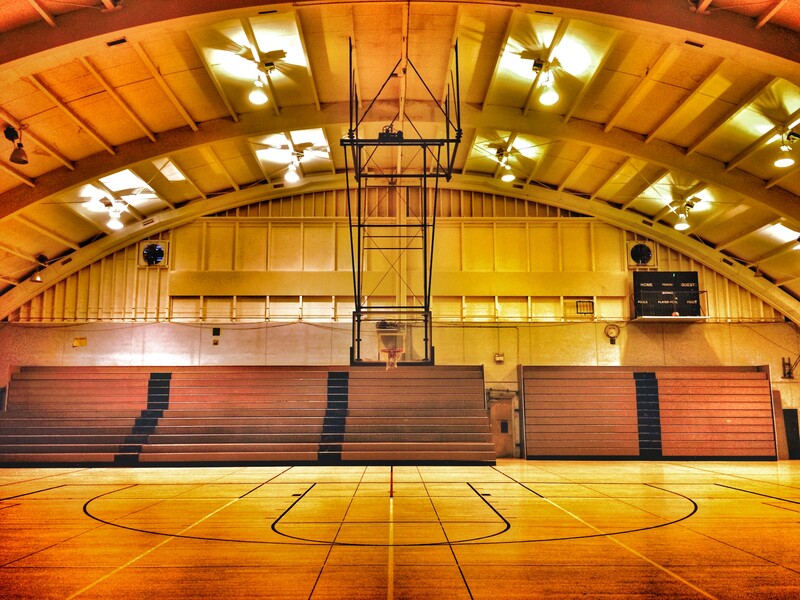 Meanwhile, the other side of the property — including its storied, air hangar-like gym — is being remodeled and will be included in the new campus. 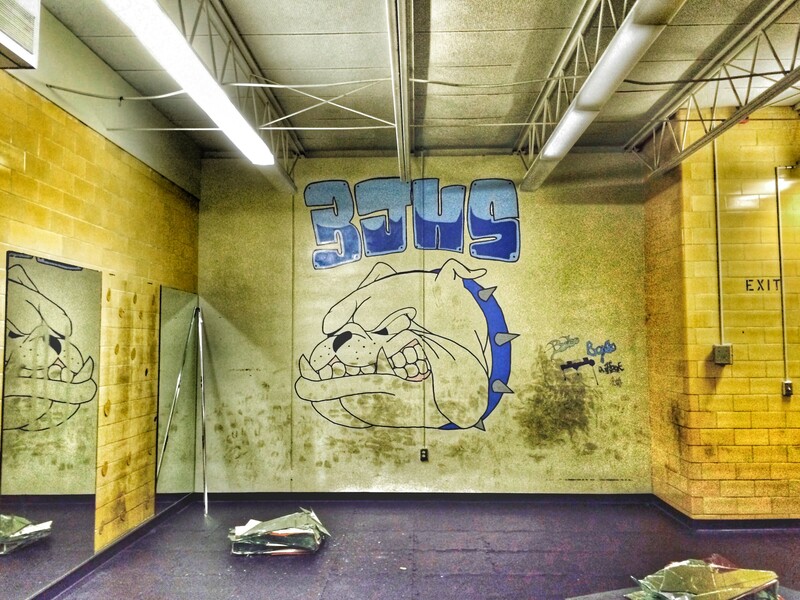 As will the weight room next to the gym, those this bulldog is going to soon be painted over. 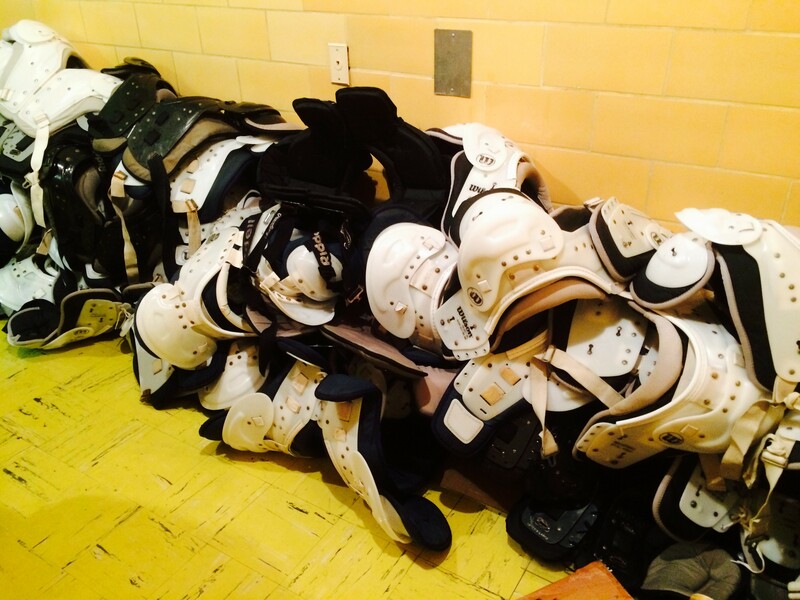 Shoulder pads from football practices years ago remain stacked in a closet. 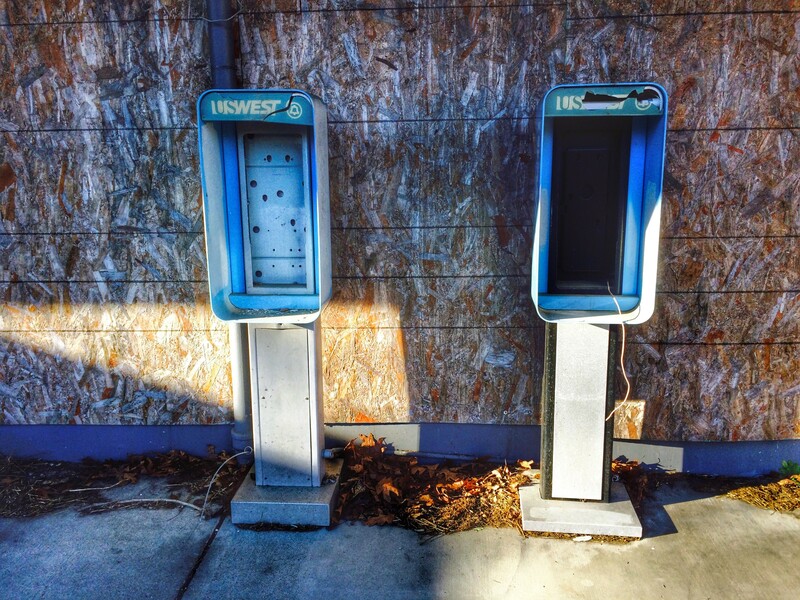 Remember pay phones? Neither do I.